Up-cycling. Recycling. Down-cycling. A lot of new terms have popped up lately, and they are often new, confused together or misused. As Weecos also has a quite wide range of products using these methods in their production a simple vocabulary of these essential words is needed. The big, trendy term – the circular economy. The term refers to a closed system that aims to keep a product in use as long as possible. The circular economy can be achieved through long-lasting design, maintenance, repair, reuse, remanufacturing, refurbishing, and recycling. The opposite is the linear economy, where products are just made and used, and their disposability is not considered. The linear economy is seen as a dead end, and in the future, the circular economy is seen the new way, how business must be done. The clothes of the CYCLE² || DENIM collection are made of reused and cleaned denim fabric. 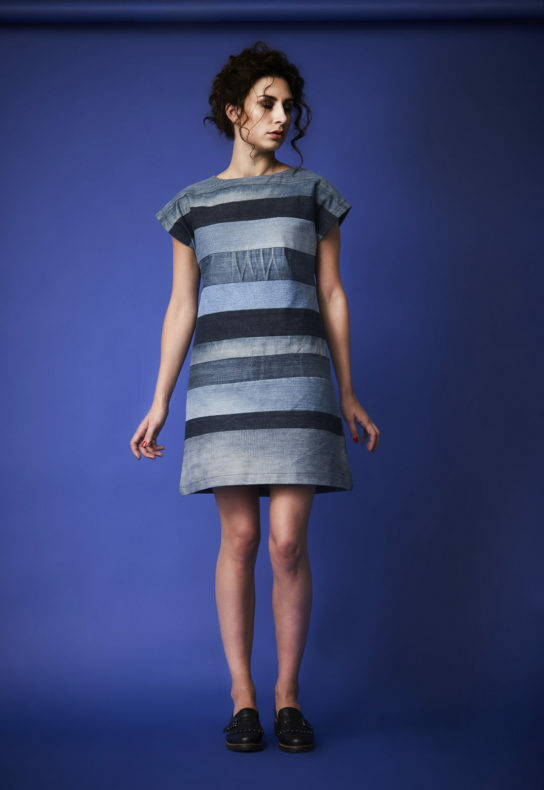 Each item by MEA is unique, carrying with it stories of its denim life. Firstly, the circular economy can be seen from the point of view of using materials and resources, in which waste, emission and energy leakage, for example, is minimised by slowing, closing and narrowing material and energy loops. Managing textile waste, selling and reusing it becomes a bigger business all the time. Secondly, it can be seen as services. Instead of owning stuff, we can share, rent and recycle, for example, clothes or tools. The point of the circular economy both in production and consumption is to minimise, for instance, the use of energy or the amount of waste. Recycling means the process of changing items seen as waste into new products. This way, not only waste of potentially useful materials is prevented, but also the consumption of fresh raw materials is reduced. For example, bottles can be recycled, and the plastic can be used again. Recycling can be separated into up-cycling and down-cycling. Up-cycling is a quite new and accurate term meaning that low-value materials are transformed into high-value products. So, through design, the material is given a new quality or value, and the consumption of not only new raw materials but also energy usage and pollutions are reduced. 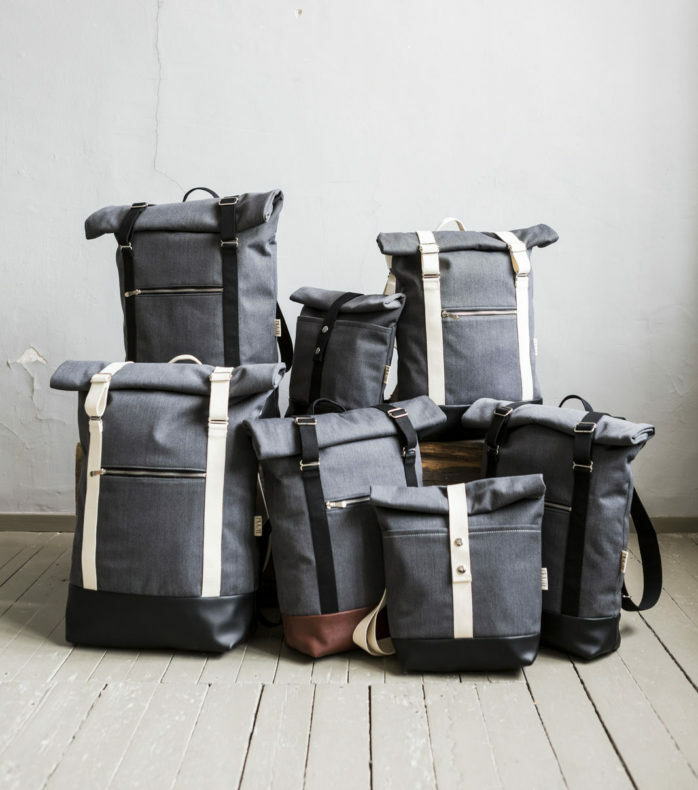 The Ahti backpacks by MUUTE are made out of leftover and recycled textiles. 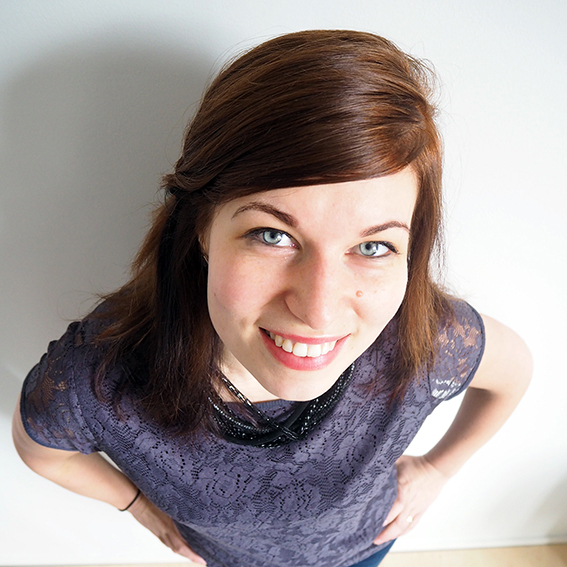 The Estonian designer Reet Aus is known as the pioneer of upcycling. In up-cycling, the material is used again in their original function. For example, if a dress bought from a flea market is transformed into a vest, you are giving the material a new life but still, in its original function. Another example, an old leather jacket can be transformed into a leather bag. Through up-cycling, the item gets a new purpose and life. Down-cycling means converting valuable products into low-value raw materials. In other words, a useful recycled material is transformed to another product of lower quality and functionality than the original material. For examples, creating recycled papers from paper or creating another form of plastic from plastic bottles. It must also be said that there is nothing new in recycling, up-cycling or what so ever. In the Western world, just a couple of decades ago, it was common to use all the materials available, raw and new materials were expensive, and nothing was wasted. In the developing countries, nothing is still thrown away. So, why the fuss then? Because this way of thinking and fuss fight back the through-away-culture and since we have so many leftover materials, it is useful to know how it can be modified and used until the end. Recycling should not be something we fuss about. Instead, it should be the normal thing to do. 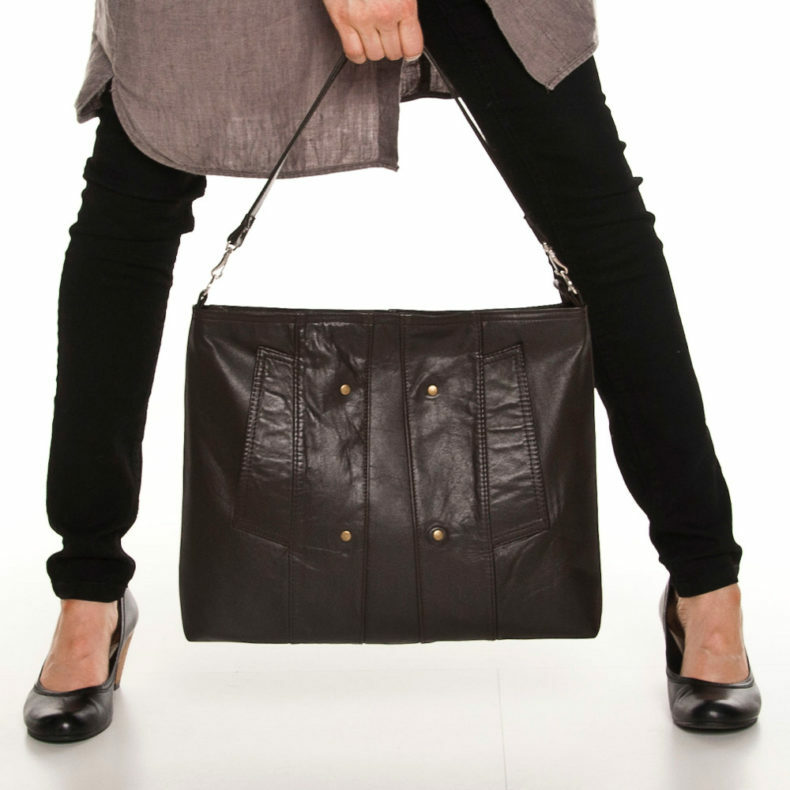 Salmiak Studio’s Rotsi leather bags are made out of old leather jackets.